Find the relationship between acquisition and conversion. The Acquisition Device report combines attribution and traffic metrics so you can see the relationship between acquisition and conversion. With this report, you can find out how many users you acquired on one type of device and converted on that same type of device. How many converted on a different type of device, and how many don’t convert at all. For example, you might find that one segment of users make their first session and and purchases something in a subsequent session on a Tablet, while another segment make their first session on Mobile but generate more revenue on Desktop. The Acquisition Device report can help you better understand how different devices contribute to the ways you attract new users and convince all users to convert. The data table in this report displays a row for each of the device categories defined in Analytics: Desktop (which includes laptops), Tablet, and Mobile. The number of Users associated with each row represents the acquisitions that can be attributed to that device category. This is the segment of users that used a device in that category the first time they were assigned a User ID during the date range selected in the report. For example, Users in the Mobile row of the data table were assigned a User ID while using a mobile device, but they might have used another device (like a Tablet or Desktop) to engage with content or make a purchase both before and after their mobile session. The Revenue for Originating Device metric shows you how much revenue was generated on the same device type on which you acquired those users. Revenue From Other Devices displays how much revenue is generated on devices in a different category than the one on which you acquired those users. Totals for these metrics, which combine data from all three device categories, appear as scorecards above the data table; details for each category only appear in the data table. Use a special reporting view to see your User-ID data. A User-ID view is a special reporting view that only displays data from sessions in which you send unique ID and related data to Analytics. To analyze all of your data, use a different view. With a User-ID view, you can analyze the segment of traffic with an assigned ID separately from your other traffic. Although how you set up User-ID depends on your environment, a common implementation is to assign User IDs to account sign-ins. In this type of setup, you can analyze how signed-in users interact with your content, so you can find out more about how you acquired these users, what devices they use for different types of engagement, and how many sessions it takes to convert. 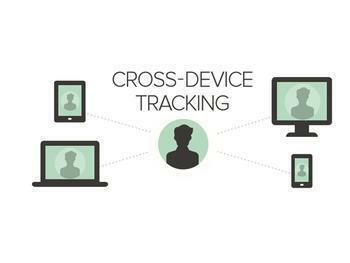 User-ID views include a set of Cross Device reports, which aren’t available in other reporting views. These reports give you the tools you need to analyze how users engage with your content on different devices over the course of multiple sessions. A User-ID view is only available to Universal Analytics properties in which User-ID is enabled, and if User-ID is implemented correctly in your tracking code and you otherwise maintain a technical configuration that can support this feature. Learn more about the User ID and how to set up the User ID. You can create a new User-ID view at the end of the set up User-ID process, or by turning the User-ID View toggle to ONwhen you add a new view to a User-ID-enabled property. Note that you can convert existing views to User-ID views during the User-ID feature set up flow on your property, but this is the only time you can do this. You cannot otherwise convert a "standard" view into a User-ID view. The User-ID view feature must be turned on during the create a new view process for a User-ID-enabled property. Give descriptive and transparent names to your User-ID views, so you recognize them as special views in your admin page. A User-ID view is a special reporting view that doesn't include all of your data. These views only include data from sessions in which a User ID (and related data) is sent to Analytics. To analyze all of your data - including data from sessions in which an ID is not sent to Analytics - use a different view. Each ID sent to Analytics is counted as a unique user. This means that all engagement activity associated with the same ID is attributed to one user, even if these activities occur over several sessions and devices over an extended period of time. Although this more accurately reflects the real way users engage with online content, the total number of users reported in a User ID view are likely to be different than the total number of users you see reported in a non-User ID view, or in another analytics solution.